As a student at the University of Oregon, and an avid football fan in general, I’ve been exposed to a lot of hearsay. So whether or not you agree with the claims made below, keep in mind that this is a list put together by what has come out of others’ mouths. 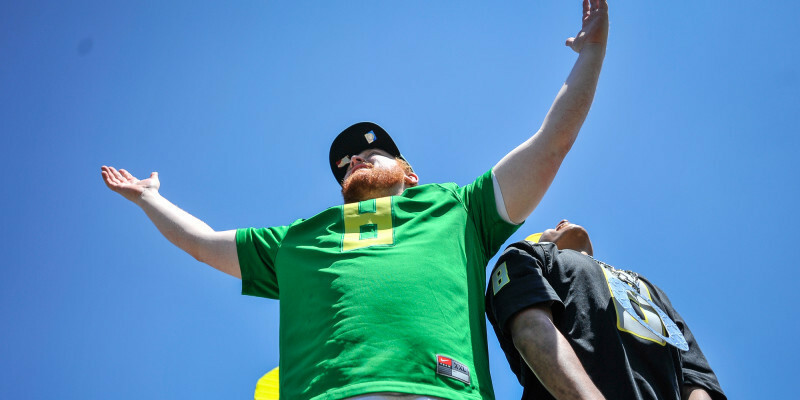 With eight days to go until the Ducks kick off their regular season against the Eastern Washington Eagles, we take a look at some bold claims that could prove true for the 2015/2016 season. 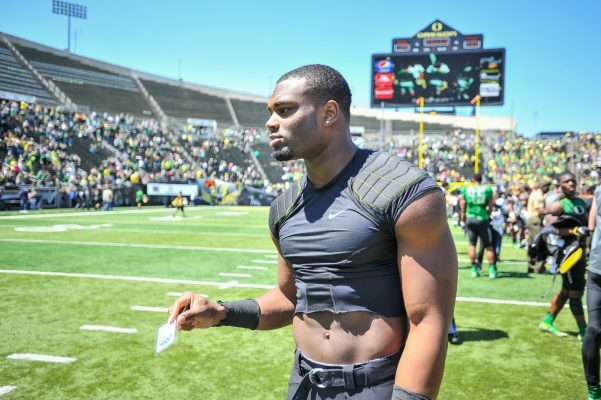 Get ready for the 2015 model of the “Rolls” Royce Freeman. Even coming from a biased Ducks fan like me, there isn’t any question about it. How can anyone overlook 1,365 yards rushing and 18 TD’s as a true freshman? Freeman’s excellence last year definitely came as a surprise to some. With Thomas Tyner being ruled out for the entire season with a shoulder injury, even more of the load will be placed on Freeman — and that’s not all a bad thing, considering he is undoubtedly the best RB in the Pac-12. Do keep an eye out for standout RB’s in Nick Wilson from the University of Arizona, Devontae Booker from the University of Utah, and Paul Perkins from UCLA. Even these other great Pac-12 RB’s have it tough, as their supporting casts are considered major drop-offs in talent. Even with the loss of Tyner, Freeman still has talent behind him so he can focus on doing as much as he can, all while knowing it’ll be okay to relax and catch his breath every so often. Having Tyler Johnstone back will do wonders for the Ducks this season. You might think I’m crazy here, but I am not. Yes, Jake Fisher and Hroniss Grasu have taken their respective talents to the NFL, but this happens to college football teams all the time. Huge Notre Dame transfer Matt Hegarty should mimic the success of Grasu’s past four seasons, and Tyler Johnstone, the original intended starting left tackle from last season, is back and healthier then ever. 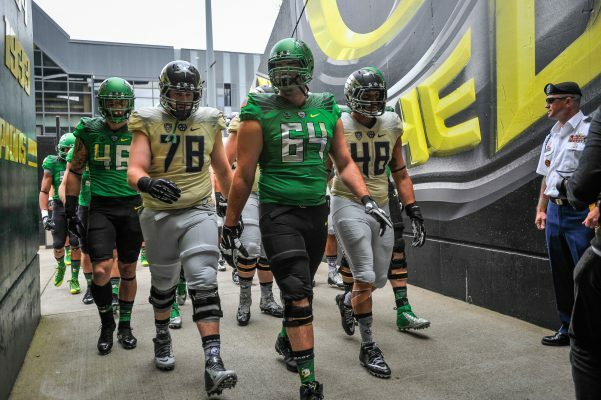 With more focus to be placed on the run game this year for the Ducks, I see the O-Line playing a huge part in the team’s success. Opposing defenses are concerned, knowing they have to account for Bralon Addison this coming season. 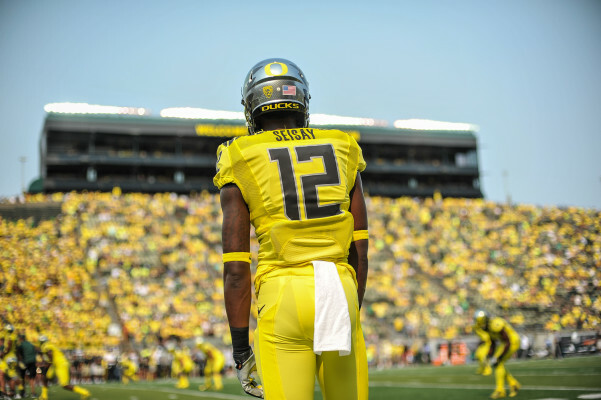 In 2013, Bralon Addison caught 61 passes, for 890 yards and 7 TD’s. Not only is Addison back, and expected to contribute even more to this team then he did in 2013, but he is fighting for his potential NFL future. And as we all know, standout track star Devon Allen burst onto the scene last year with his two-TD game against Michigan State. Keep in mind that Addison started running routes again with the team in the week of practice leading up to the Rose Bowl Game against Florida State, so he is dying to get back out there. The coaches even told Allen that he needed to slow things down, as he was running and back to form a few months ago. Get to know Canton Kaumatule. He might be nice off the field, but he becomes vicious on the field. First and foremost, the Ducks’ coaching staff is really good at recruiting gargantuan sized defensive linemen. From Haloti Ngata a few years back, to current star DeForest Buckner, there has never been a lack of size. And even with massive Arik Armstead taking his talents to the NFL, his size and athleticism has been replaced with Canton Kaumatule. If you aren’t too familiar with Kaumatule, here is your forewarning: this kid will be a top 10 pick in the NFL draft within the next four years. He is 6’7″ and 295 pounds. 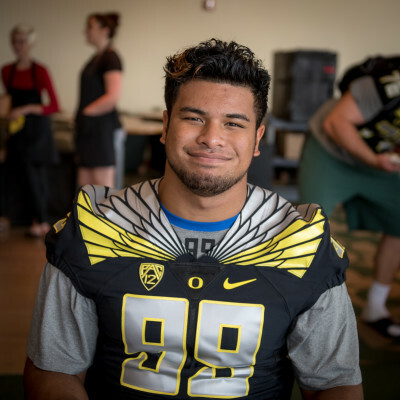 When I asked Buckner about Kaumatule a few months ago, he said, “This kid is huge, he is fast, and you wouldn’t believe how strong he is.” Kaumatule recorded 2.5 tackles for loss and 2 QB sacks in the 2015 Spring Game. Oregon will sorely miss Armstead, but they certainly won’t miss a beat. Joe Walker is ready to rock some opposing offenses. Even with the already described talent at defensive line, I will place my faith in the linebackers this season. All the household names in Eugene are returning, like Rodney Hardrick, Joe Walker, Danny Mattingly, Tyson Coleman and Christian French. And make sure to keep an eye out for Jimmi Swain, who is not as well known, but is certainly ready to contribute in a big way. I’ve said it before, and I’ll say it again: the linebackers feel like they underperformed against Ohio State. They want another chance at the Buckeyes, and they’ll only receive that chance if they dominate every team in their way this season. Look for them to do just that. Wherever Charles Nelson plays, his impact will be felt. There is no argument here — Charles Nelson is the best athlete in the Pac-12. The standout wide receiver and special teams player extraordinaire is now being considered for a starting cornerback position with this team. But Helfrich has said he is too good not to play everywhere, so it’s still a mystery as to where Nelson will spend most of his time this season. I’d like to see Offensive Coordinator Scott Frost and Defensive Coordinator Don Pellum duke it out for Nelson’s services. 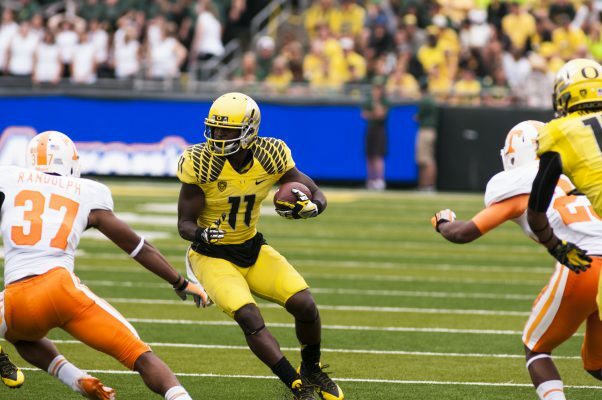 Chris Seisay is out to prove that this Ducks secondary can wreak havoc in the Pac-12. 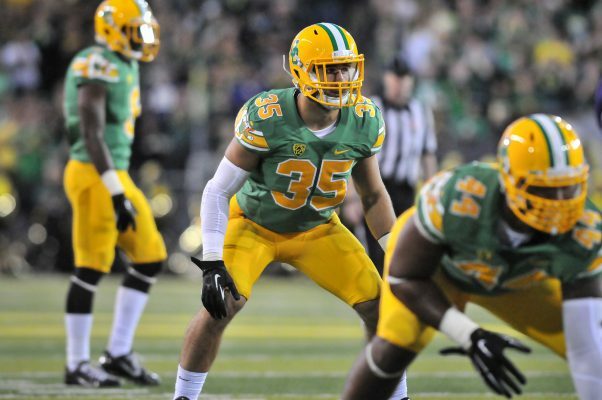 Not many people are giving this inexperienced Ducks secondary a chance. I am. In fact, the only team that I believe that has a chance to perform better than the Ducks’ secondary is Stanford. Chris Seisay is returning, with all of the experience he gained from filling in for Ifo Ekpre-Olomu. Reggie Daniels and Tyree Robinson have each been told losing Erick Dargan will be too much for them to overcome — and remember that Nelson could be playing cornerback. Again, don’t sleep on these Ducks, because they might just force a million and one turnovers against every team like they did against Jameis Winston and the Seminoles. Despite what critics have said, Jeff Lockie still feels like he has a good chance at being the Ducks starting QB this season. See what I did there? Too many people are concerned with the lack of Mariota at QB, when they should be focused on how the Ducks are going to get back to the playoff. 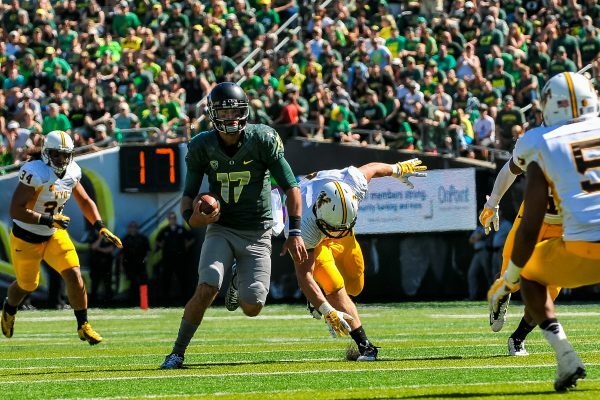 Whether it’s Jeff Lockie or Vernon Adams Jr., the talent will be there for the Ducks to succeed. The Ducks have seven straight 10-win seasons, and have won 80 percent of their games over the last 10 seasons. That mark of consistency shows winning character no matter who is manning the team. 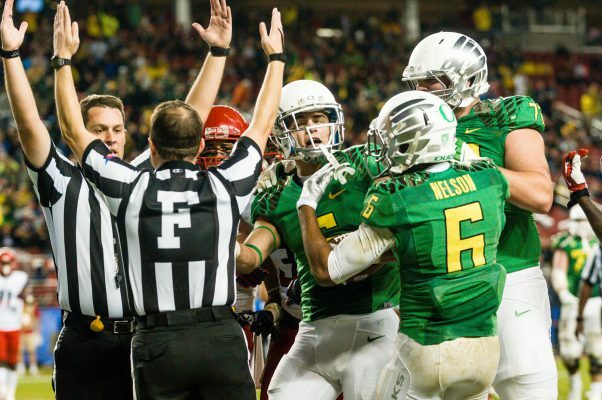 The Ducks will keep that consistency going this season, and will absolutely be back in the college football playoff.